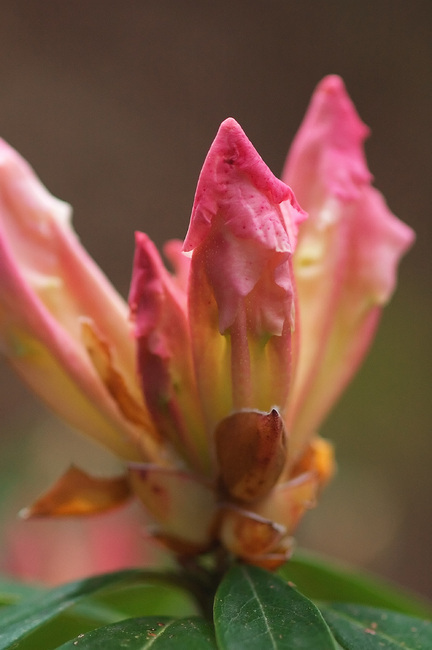 After a examining the Shades of pink page at Wikipedia, I think maybe parts of this Rhododendron are Brink Pink and Coral Pink. You did know that Wikipedia had colour pages, right? Details: Nikon 105mm 1:2.8D macro, f/4, 1/160, ISO 800, polarizing filter, Noise Ninja. I didn't know! How nifty is that?